It might look silly, but a bird in a cup yields important information. 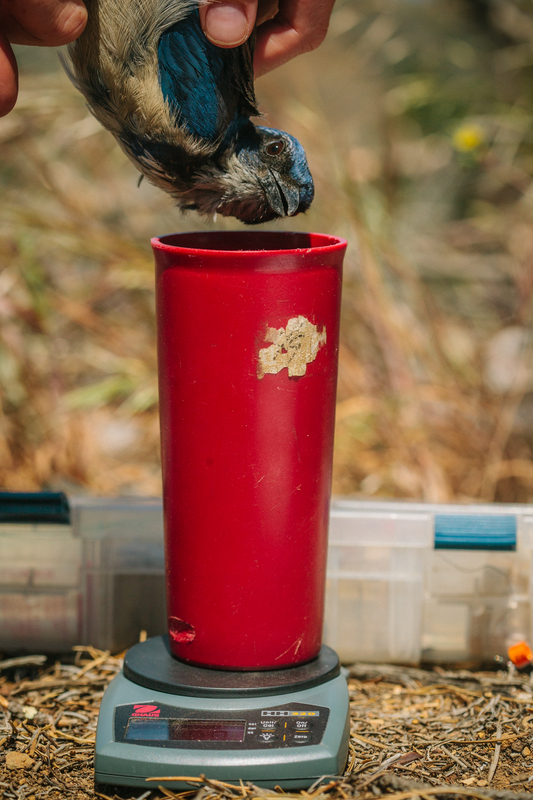 Research assistant Elena Daggett, uses this method to weigh island scrub jays. These body measurements provide important data that help researchers understand how the birds are faring over time.